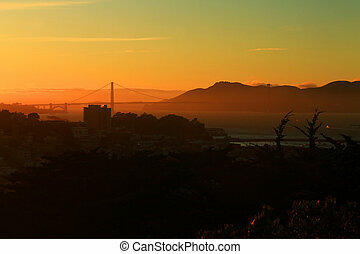 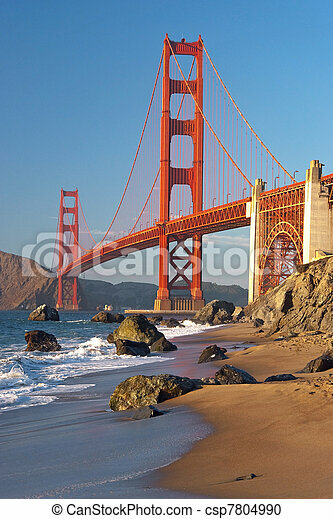 The golden gate bridge in san francisco during the sunset with beautiful azure ocean in background. 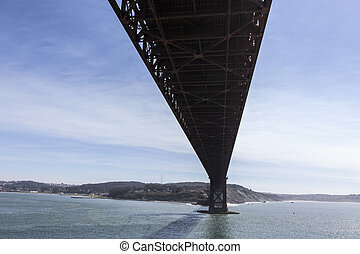 Under the Golden Gate Bridge in San Francisco Bay. 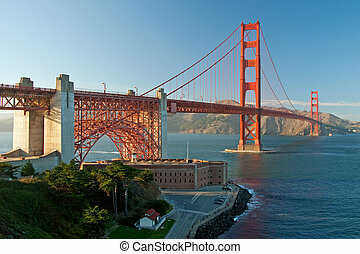 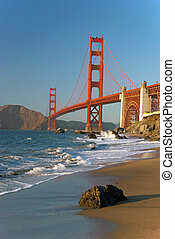 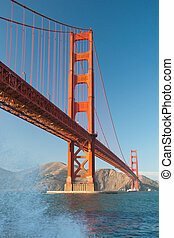 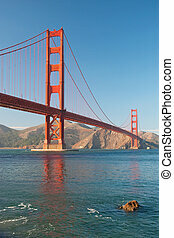 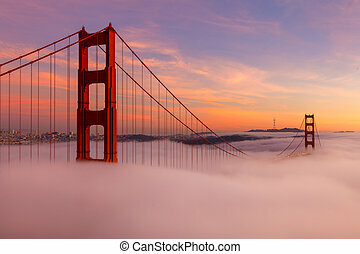 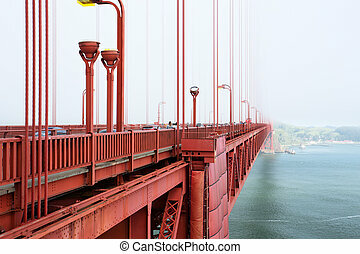 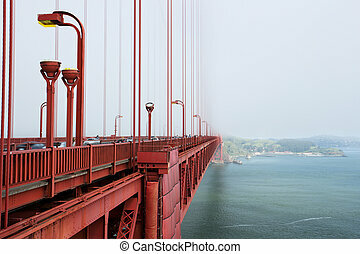 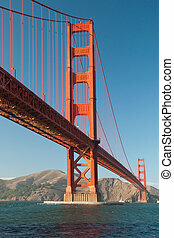 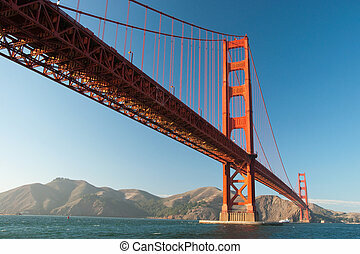 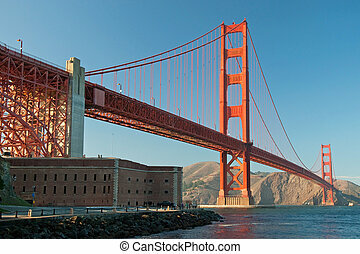 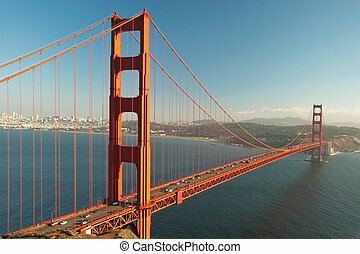 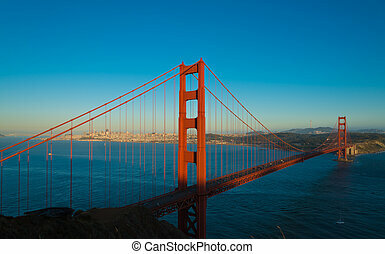 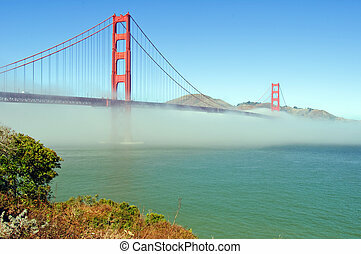 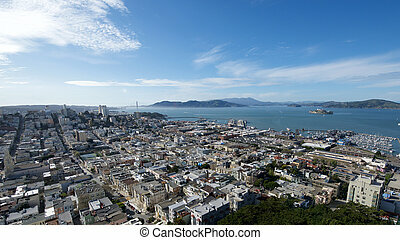 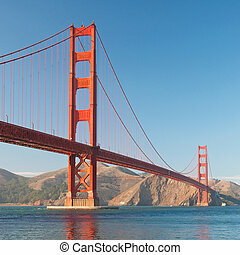 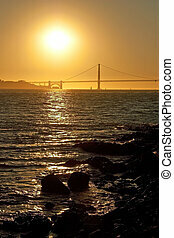 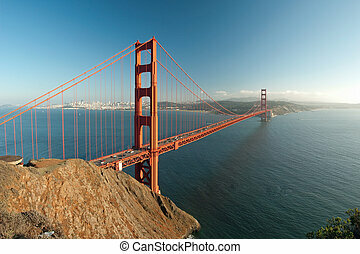 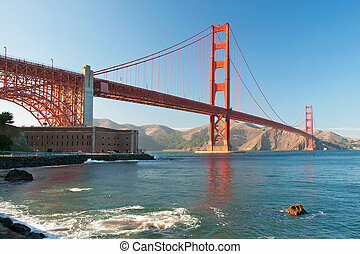 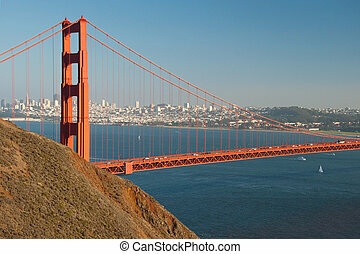 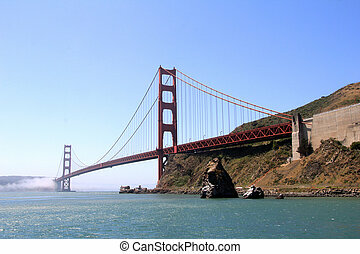 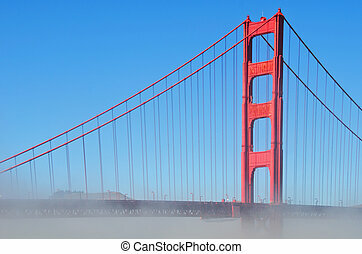 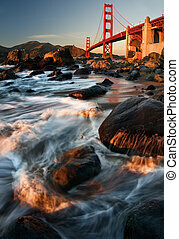 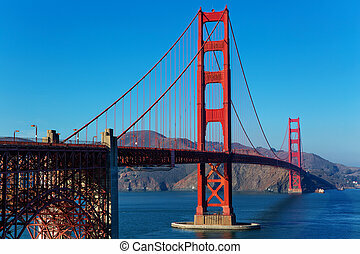 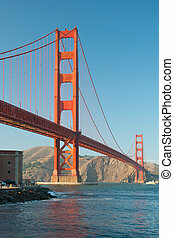 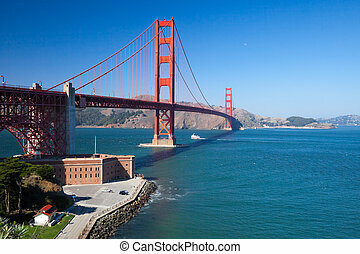 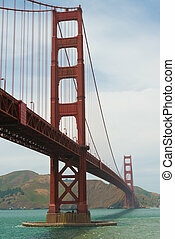 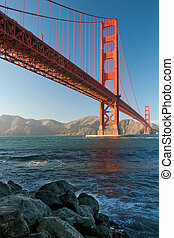 The Golden Gate Bridge is a popuar tourist destination in San Francisco California.